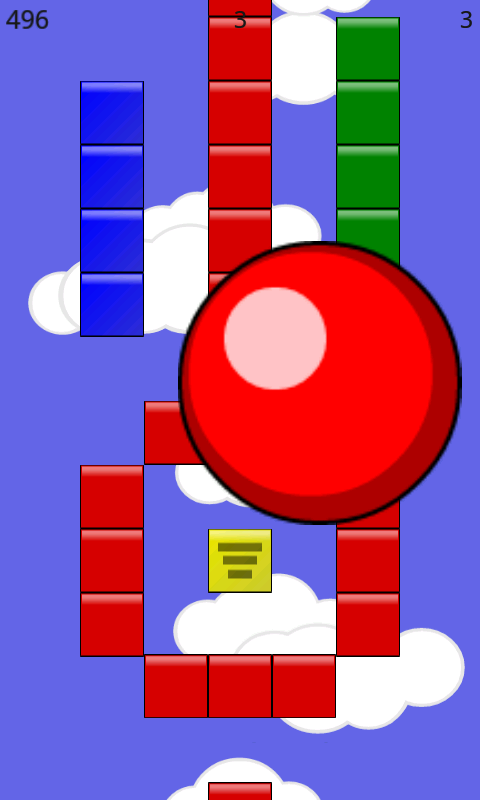 Control a bouncing ball over many exciting tile filled levels! The aim is to make it to the finish line... Don't fall! Control the ball by dragging your finger around the play area. Don't drag too fast or the ball might not be able to keep up! As the ball lands make sure that it is over a tile. 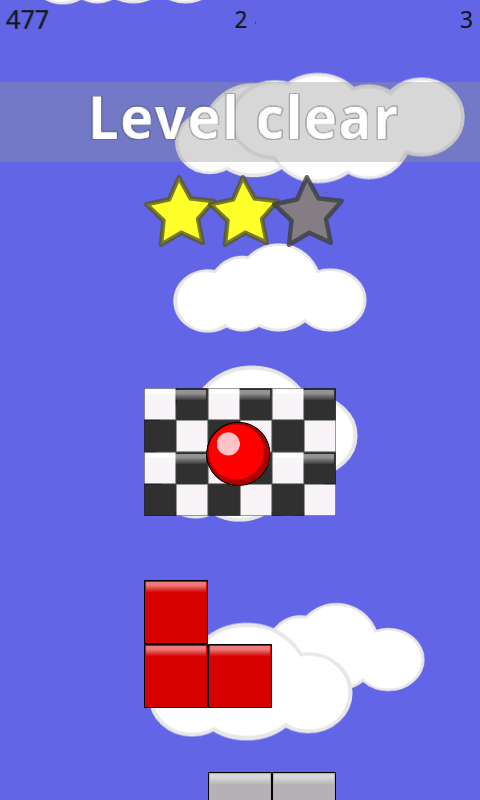 Different tiles will have different effects on the ball or level. 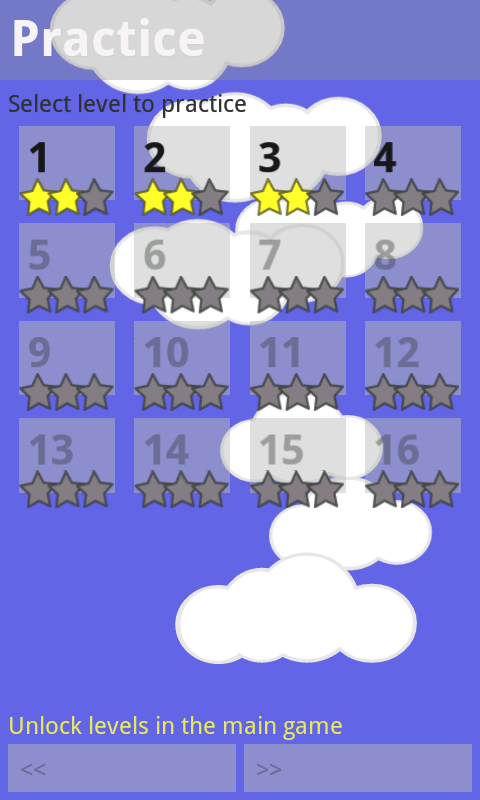 On completing a level a star rating is awarded based on the score achieved on that level. An extra life is awarded every 2500 points. Practice is a game mode where you are able to select any level that you have reached in the main game and practice playing on it. You will not advance to the next level when you complete a level and your score will not be recorded. However, the level star rating can be improved and achievements awarded. Death Falling is not the only cause of death! There is an option to uninstall in Settings > Applications > Manage Applications > Rebound. If that doesn't work, try restarting the phone and trying again.